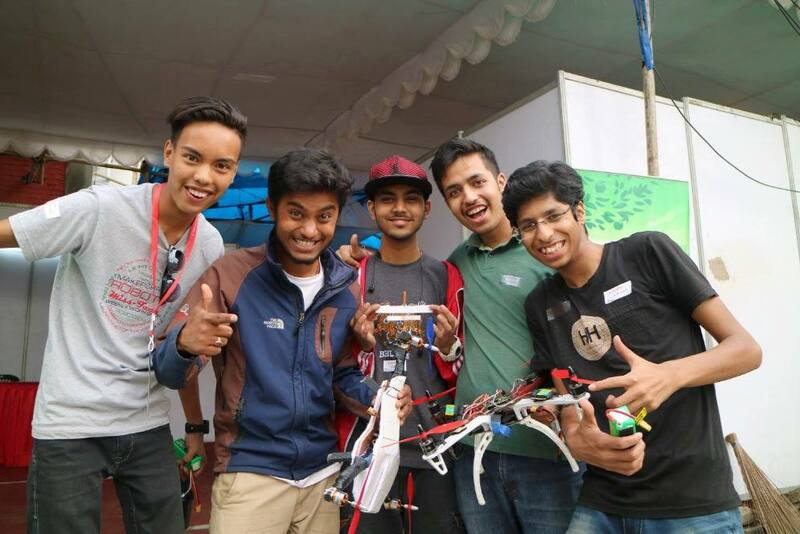 Kathmandu Mini Maker Faire | Communitere: Response. Relief. Renewal. 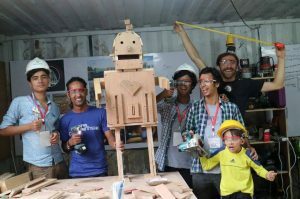 The 2016 Kathmandu Mini Maker Faire (KMMF) showcased to over 1,500 Nepalis and internationals the opportunities and applications to leverage the DIY (do-­it-­yourself) movement. Bringing together communities, entrepreneurs, makers, businesses, international/national non­-governmental organizations (I/NGOs) and government agencies, it celebrated the Maker Movement and showcased an array of incredible projects and new technologies, all the while with a unique focus on humanitarian innovation to rebuild Nepal. On September 24th and 25th, 2016 Nepal Communitere, in partnership with the US Embassy and Nepal Innovation Lab (World Vision), hosted the inaugural KMMF, to showcase the very best in Nepali innovation and entrepreneurship alongside select international partners. The faire served as a forum to celebrate and leverage the Maker and DIY movement, with a unique focus on humanitarian and other needs-based innovation as the Nepali people rebuild their lives, homes, and livelihoods following the 2015 earthquakes. The Kathmandu Mini Maker Faire (KMMF) saw astounding success in its inaugural debut in 2016 as a family-friendly event featuring digital fabrication, DIY science and technology, farming and sustainability, alternative energy, transport, innovations in health and education, unique handmade crafts, music and local food, and educational workshops and installations. 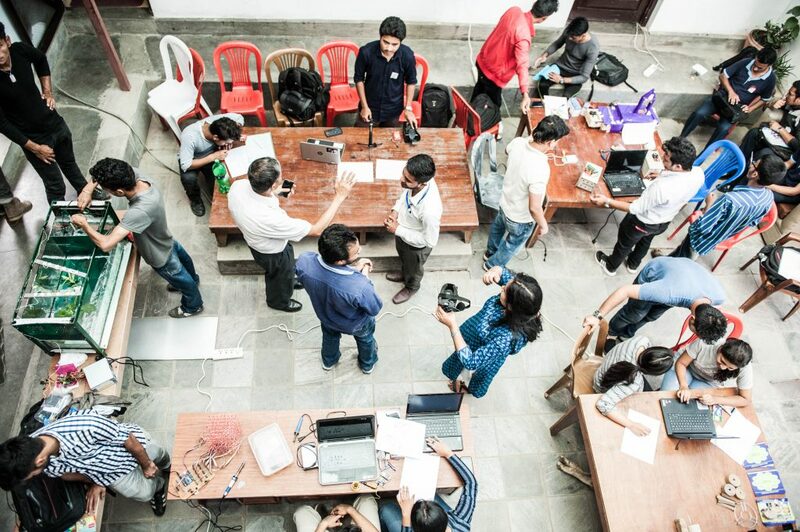 Nepal Communitere is thrilled to be playing an active role in catalyzing and supporting the Maker movement through its Resource Center and Innovation Hub. Speakers from around the world representing countries such as the Phillipines, India, Israel, Haiti and the United States shared their innovation projects that have a social impact. A kids zone engaged youth and showcased hands-on innovation and technology activities. The KMMF highlighted STEAM learning, Raspberry Pi & Arduino workshops, expo pieces, vendors, a virtual reality booth, drone flying, 3D printing workshops, solar power technologies, alternative buildings, environmentally sustainable technologies, ‘the internet of things’, and traditional craft & making techniques. The KMMF is back in Spring 2018 with more than ever to see. Join us as we create, make, and innovate! 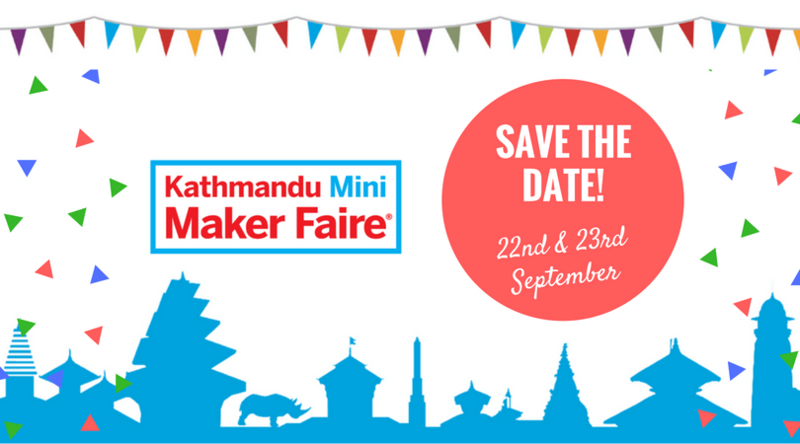 Click here to email us about being the next Program Manager for the Kathmandu Mini Maker Faire 2018!